Shipping out in June to Thailand, Germany and Canada (over 3 months). 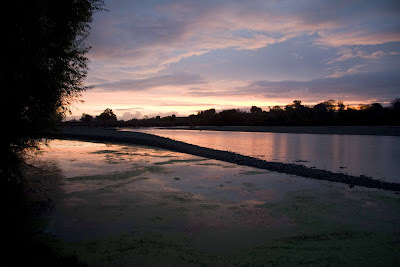 Back to NZ in September for another stint. Stay tune on that! 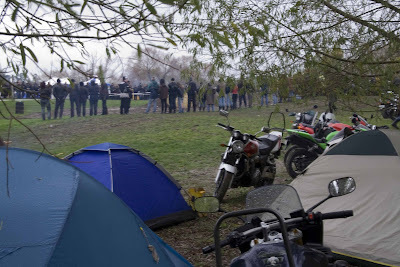 May was the month of my first motorbike rally which is edging winter in New Zealand. The "Cold Duck", should have been called the "muddy duck" as it rained all weekend in a farmers field. Up near Waipukurau hundreds of bikers of all types gathered to watch all kinds of fun and games. Nice to see tough bike riders and skillful sport riders come together for a good old beer drinking. Only problems were it didn't stop raining and I wish I hadn't seen the wet t-shirt contest! 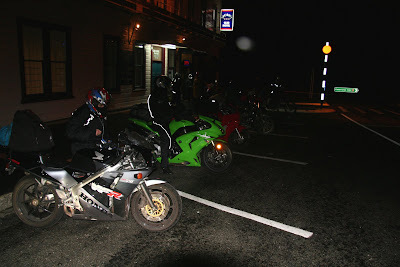 Our group waiting at a pub on the way for Joe and I on Friday night. 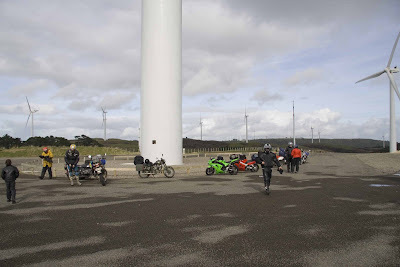 Our group at the windfarm by Palmerston North after a night at Jason's who hosted and feed all of us, Dinner and Breakfast. Everyone gathering around to watch some races. Lawn Bowls for Hot Jess's leaving party at the end of May. Mandatory white dress code in effect. 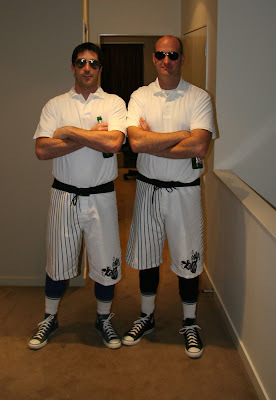 Benny and I dressed up in our version of a mandatory white and may have lost all our games as Luxemberg's top lawn bowling team. Not too sure about that.